Share this product and receive a $2.90 sharing discount. 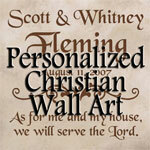 Personalize this piece of wall art! 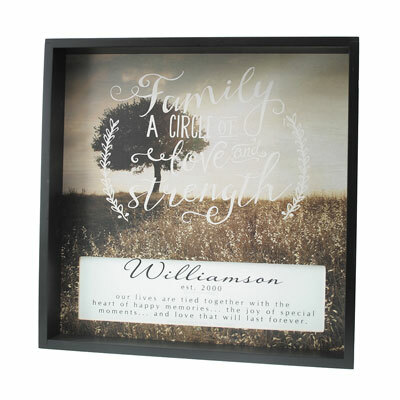 You can select which "verse" you would like on the customized insert AND add a Name and Date or Message. This item is made in the USA and measures 16" x 16". Verse 1: A house is made with walls and beams; a home is built with love and dreams. Verse 2: Having a place to go is home; having someone to love is family; having both is a blessing. Verse 3: Our lives are tied together with the heart of happy memories... the joy of special moments... and love that will last forever. Verse 4: The best things in life are the people we love... the places we've been... and the memories we've made along the way. Even though it is personalized, this gift can ship within 1-2 business days.